Doha - has not given up hope of qualifying for the UEFA Champions League with FC Schalke 04 this season. However, the Ghanaian international is fully aware that the Royal Blues must show a marked improvement over the second half of the campaign if they wish to compete in Europe's premier club competition in 2014/15. The 26-year-old is also determined to prove his own fitness ahead of Schalke's Rückrunde opener against Hamburger SV on 26 January. Boateng, whose fiancee Melissa Satta is pregnant with the couple's first child - "we’re going to paint our child's room blue and white" - certainly didn’t seem distracted by the prospect of becoming a father for a second time when addressing the media at Schalke’s training camp in Doha. The former Hertha Berlin and Borussia Dortmund player is, in fact, hoping for a little less excitement and a little more consistency on the field following Schalke's indifferent first half of the campaign. One of the main reasons die Knappen currently lie in seventh place in the league - four points off a Champions League spot - is their leaky defence. Schalke have conceded 28 Bundesliga goals this season, only 1. FSV Mainz 05 have conceded more in the top half of the division. "The most important thing is to stop letting in so many goals," Boateng said. "I promise we won't concede as many [in the second half of the season]. We want to focus on improving our defence." Schalke’s hopes of reaching the Champions League for a second successive season also rest largely on the fitness of Boateng himself. He has scored five times in Germany's top flight since his summer move from AC Milan, but has been plagued by a troublesome knee injury which has required constant monitoring throughout the campaign. Boateng has been making regular visits to Munich to undergo treatment with physiotherapist Bernd Fischer, who has joined Jens Keller's team in Doha for extra training sessions with the attacking midfielder. "I'm working on my fitness and want to start the second half of the season at full power," confirmed the Ghana star. Since his arrival in Gelsenkirchen from Serie A, Boateng has been particularly impressed by one player in particular. Eighteen-year-old Max Meyer has managed to nail down a regular first-team berth during the 2013/14 campaign and his potential has not unnoticed by Boateng. "He's one of the best players of his age I've ever played with," he said. "He behaves how I should have when I was his age - he keeps quiet off the pitch." 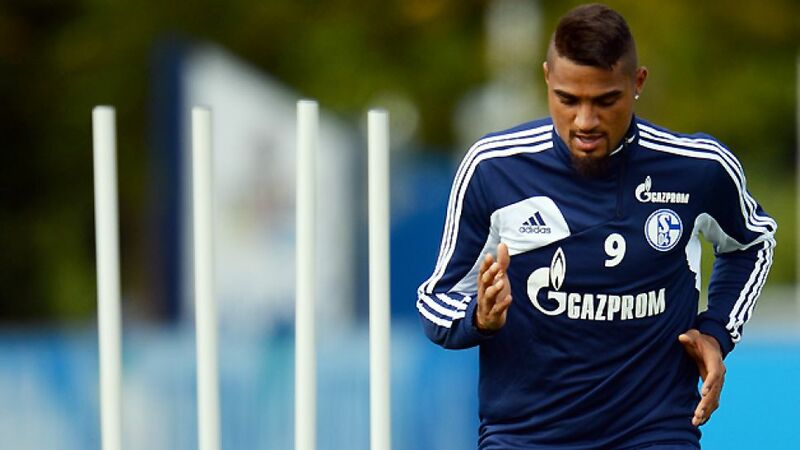 Boateng is also looking forward to Klaas-Jan Huntelaar's return to first-team action. The 29-year-old, who missed the majority of the first half of the season with a serious knee injury, hasn’t travelled to Doha with the rest of the squad, but has started light training back in Gelsenkirchen. "We know what 'Hunter' is capable of," said Boateng. "We are more dangerous up front with him in the team." With the likes of Huntelaar, Julian Draxler and FC Bayern München loanee Jan Kirchhoff all set to return to first-team action in the new year, the future looks bright for Boateng and Co. at Schalke.